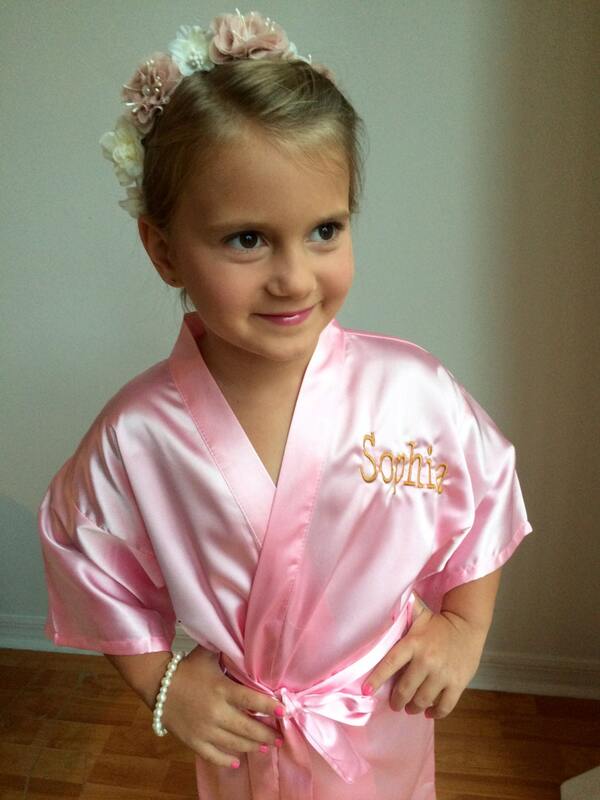 This Listing includes (1) Mini Satin Robe with the option to Embroider or Monogram. 1. Name or Initials. 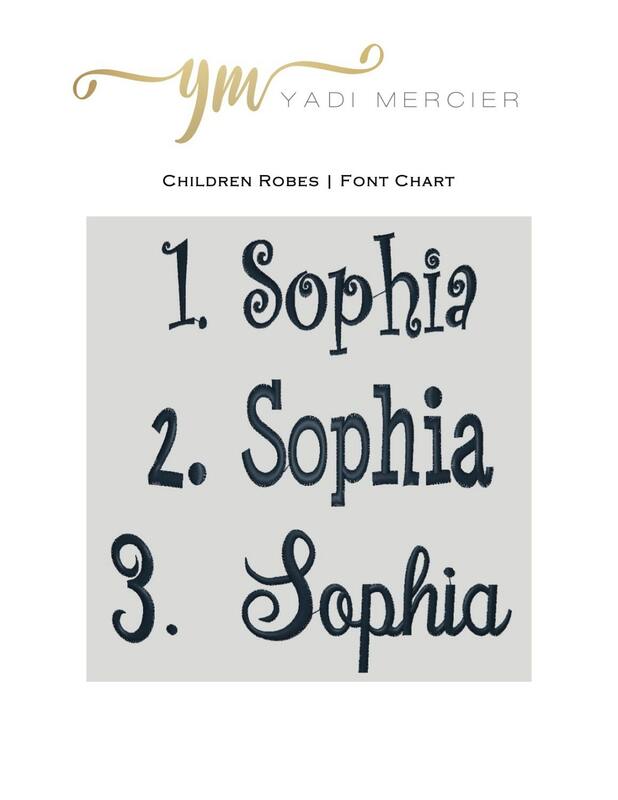 This MUST BE IN THE EXACT ORDER you want to see it monogrammed. 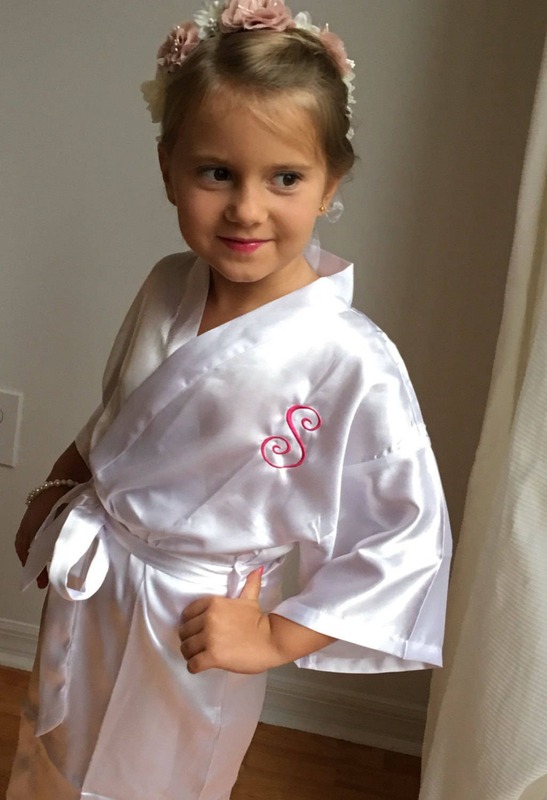 The Mini Robes come in Solid White, Solid Dusty Rose and Solid Baby Pink. 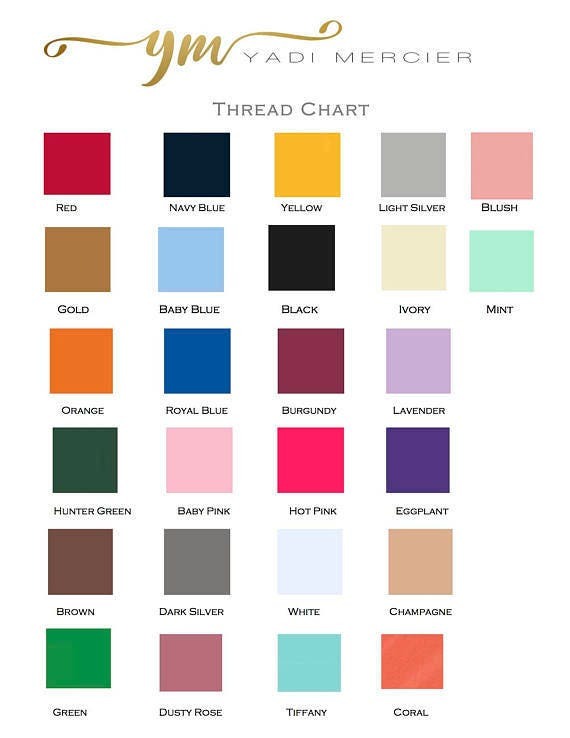 These are the only three colors available in the Shop for the Solid Satin Mini Robes. The Robes are Machine Wash and Dry Friendly. 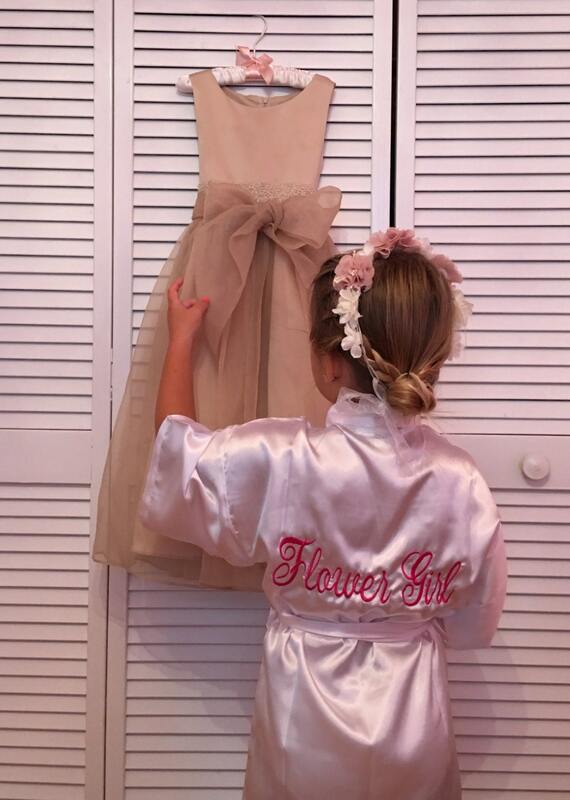 Please use a Steamer to remove the creases just like you would when you buy a blouse or dress at a department store.